Creditors are due around £30m in the wake of the collapse of Longcross Construction and are set to receive a paltry 0.4p-1.2p in every £1. According to administrator Deloitte, banks and preferred creditors to Longcross will be paid the full amount owed. Administrators also revealed £130,000 to £350,000 would be left to pay unsecured creditors. Joint administrators Lee Manning and Matthew Smith, said investigators had discovered cash transfers to businesses before the company’s administration on the 16 June. 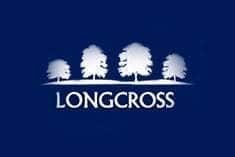 According to the latest creditors’ report, Longcross reportedly made payments of £564,000 and £226,500 to Longcross Fire and Security and LX Engineering (South) respectively. However, directors of LX Engineering (South) returned £429,000 and the directors of the Longcross Fire and Security returned the full sum under the Insolvency Act provisions. This was due to payments being made two days after the winding-up petition being served. The administration will be extended from June for up to 12 months to regain retentions, work in progress and handle claims made by creditors. Deloitte said it would take around half of the £955,272 owed to them.